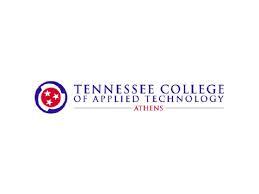 Established in 1964, the Tennessee College of Applied Technology at Athens serves McMinn, Meigs, Monroe, Bradley and Polk counties. The Center is one of twenty-seven technology centers strategically located across the state. The TTC Athens is governed by the Tennessee Board of Regents, and is accredited by the Council on Occupational Education.The basic philosophy of The Tennessee College of Applied Technology - Athens is that every citizen should have the privilege and opportunity to reach as high a station in life as the student is capable of reaching or desires to reach. Recognizing that all people do not have the same background, abilities, or desires and therefore cannot be fitted into the same mold, the objective of TCATA is that each student is treated as an individual. Individualized instruction is utilized to the maximum in most programs. School policy provides that a student may enter a program when a vacancy occurs, start training at the student's own level, and progress at a pace to the level desired within the limitations of the school. Individualized instruction provides the student with the highest quality instruction possible in the occupational area chosen.